f you are struggling to make your mortgage payments or suffer from burdensome home debt, our experienced law firm can fight to keep you in your home. Our attorneys are familiar with legal strategies that can guide you through this troublesome time and help you get back on your feet. Our attorneys have extensive experience defending foreclosure actions for clients in the New York City and the surrounding suburbs. We are strategically located to represent clients in Supreme Courts of Westchester, Nassau, and Suffolk Counties as well as Rockland, Orange, and Putnam Counties. We have legal experience spanning 3 decades and have been recognized as some of the best lawyers in New York. Our firm is lead by a former prosecutor and a highly regarded corporate lawyer. Mr. Sanchala heads our business practice and has worked for some our nation's largest and most prestigious Fortune 500 Companies. Our experience gives us a unique perspective to the foreclosure arena. We have succeeded where other firms have failed. 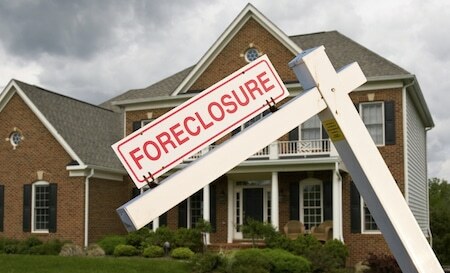 If you have are in need for a foreclosure attorney, give us a call at 800-893-9645. Our team of foreclosure defense lawyers are dedicated to helping you save your home and prevent or stop foreclosure. Upon being retained, we will examine your case and put together the best legal strategy to assist you through this troubled time. How is your firm different from modification companies? Our firm is comprised of attorneys, paralegals, and support staff. If you retain our firm, your case will be managed by one of our experienced attorneys and staff. We are not a modification company. We are a law firm bound by the rules of ethics and professional code of conduct to act as a fiduciary on behalf of our clients. For more information, please feel free to call us at (800) 893-9645 or send us an email. The thought of losing your home can be frightening. While there are many things that you can do to stop a foreclosure action, we recommend that you start the process with calling our law firm. Having the right lawyer to right your foreclosure can make all the difference in whether or not you stay in your home. We can be reached at (800) 893-9645. Send us an email. Disclaimer: This website provides general information and thoughts about various legal issues. You should not construe any content on this site as legal advice or the creation of an attorney-client relationship. Again, we provide the content only for informational purposes. You should not make decisions based information on our site because the application of the law depends on the facts and each situation may be different. In addition, the law in most jurisdictions is different and changes constantly and we make no representations that any information on our site has been updated. This site is not a substitute for competent legal advice from an experienced attorney in your state or jurisdiction.